A federal court in New York granted approval of a $3.9 million settlement between Wells Fargo and current and former Financial Advisors in its Private Client Group for unpaid minimum wages, overtime compensation for hours worked over forty per week, unpaid gap time, and various other wage violations. Financial Advisors are individuals possessing a Series 7 license who are responsible for in-bank and traditional brokerage services. The employees who filed the lawsuit work for the client segment represented by “affluent” individuals possessing $100,000 to $2 million in investible assets. According to the employees, Wells Fargo used an unlawful broker compensation plan, under which they were required to “kick back” earned compensation to Wells Fargo. 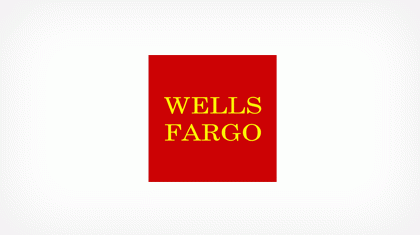 Further, the employees claim Wells Fargo had a policy of making unlawful deductions from their earned wages, as they would unlawfully deduct money from the commissions of the Financial Advisors for any errors made in the execution of trades. Other claimed Wells Fargo violations include forcing a Financial Advisor to pay for the cost of an assistant and interns, failing to guarantee a minimum wage of at least $455 per week in order to qualify as overtime-ineligible, and failing to pay Financial Advisors any overtime wages despite working between 60 to 80 hours in a given work week. The lawsuit claims that as a result of its compensation plan and aforementioned practices, there were weeks during which Financial Advisors were actually not paid any wages at all. A Class Notice is approved and will be mailed out for the approximately 1,150 class members who worked as Financial Advisors in the Wells Fargo Private Client Group between May 11, 2009 and the preliminary approval date, September 30, 2016.